Home for the holidays and my gf sister was craving baked goods. 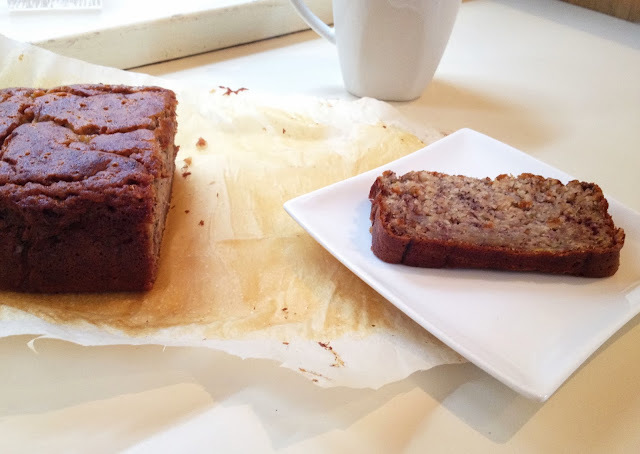 We had a few bananas that were ready to go, so banana bread seemed like the obvious choice. 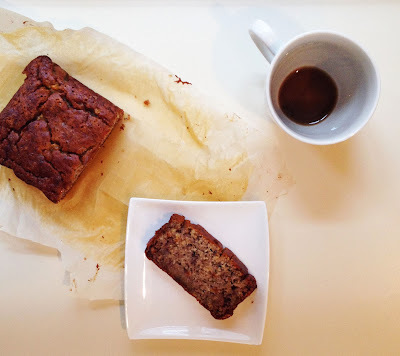 To suit her healthy, gluten free needs, I modified my typical banana bread recipe; swapping the flour, and cutting back on sugar and oil. The results were delicious - you wouldn't even know it was gluten free! In a large bowl, smush ripe bananas. Add eggs and whisk well. Continue to add the sugar and oil, mix well. Add flour and baking soda and stir to combine. Pour batter into a parchment lined loaf pan.